When will be The Strangerers next episode air date? Is The Strangerers renewed or cancelled? Where to countdown The Strangerers air dates? Is The Strangerers worth watching? 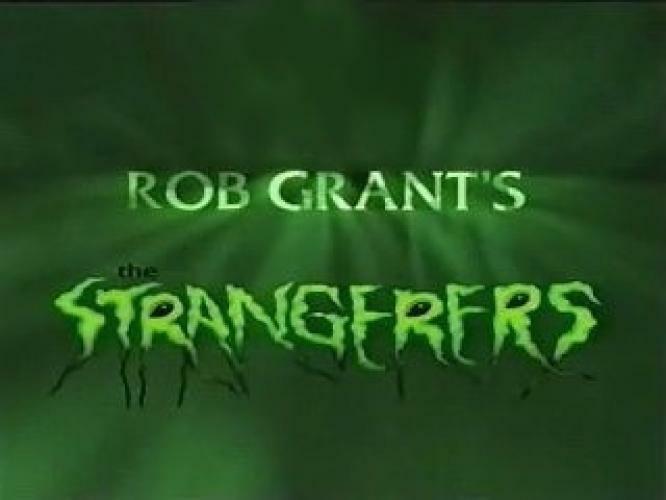 The Strangerers was a comedy science-fiction series written by Red Dwarf co-creator Rob Grant and centred on a group of evolved vegetable aliens disguised as humans who land on Earth to carry out a secret mission. When their Supervisor is decapitated, two inexperienced Cadets have no idea what the mission entails, but using a mixture of their of own language, and things they have observed in old 1950s movies, they try and get through the crazy world we live in without getting caught by the various shady organisations after them. EpisoDate.com is your TV show guide to Countdown The Strangerers Episode Air Dates and to stay in touch with The Strangerers next episode Air Date and your others favorite TV Shows. Add the shows you like to a "Watchlist" and let the site take it from there.